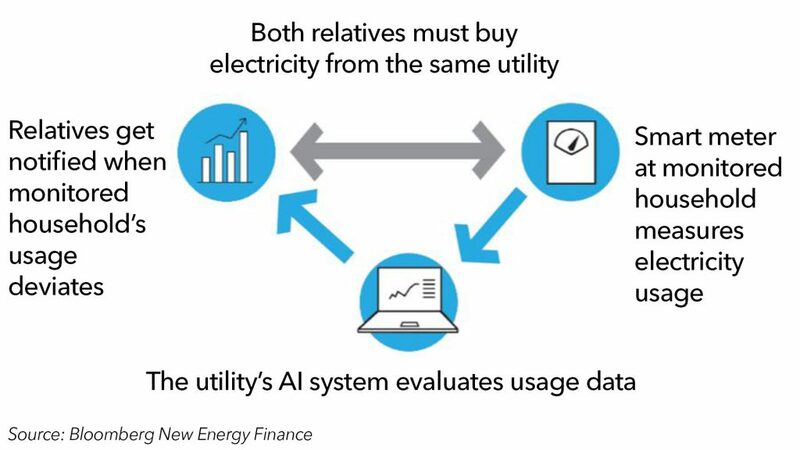 To prevent further erosion of their residential customer base, five Japanese electric utilities offer to monitor a family member’s real-time electricity usage with artificial intelligence. The service, unique to Japan, helps lower customer churn by forcing two households to use one power retailer and targets Japan’s growing elderly population. In addition to being able to see a family member’s electricity usage on their screen, Tokyo Electric Power Co. Holdings Inc.’s system is compatible with Google Home and Amazon Echo assistants. Although no financial results have been disclosed so far, more utilities in Japan are expected to begin offering consumption pattern monitoring. BNEF clients can see the full report, “Utility Strategies in Japan’s $60bn Residential Market”, on the Terminal or on web.